Before I start, this post is a long one so grab a cup of tea, make yourself comfortable and enjoy! If you’ve been a reader of Life with Livie for a while now, you will know I have trouble with my skin and I am always trying out new products, gadgets and methods to fight against spots. As I am writing this, I must say, my skin is looking the clearest its been for a while and that is all thanks to Super Facialist! Super Facialist got in contact a couple of weeks ago when I was going through a rough patch so the email was a skincare blessing. 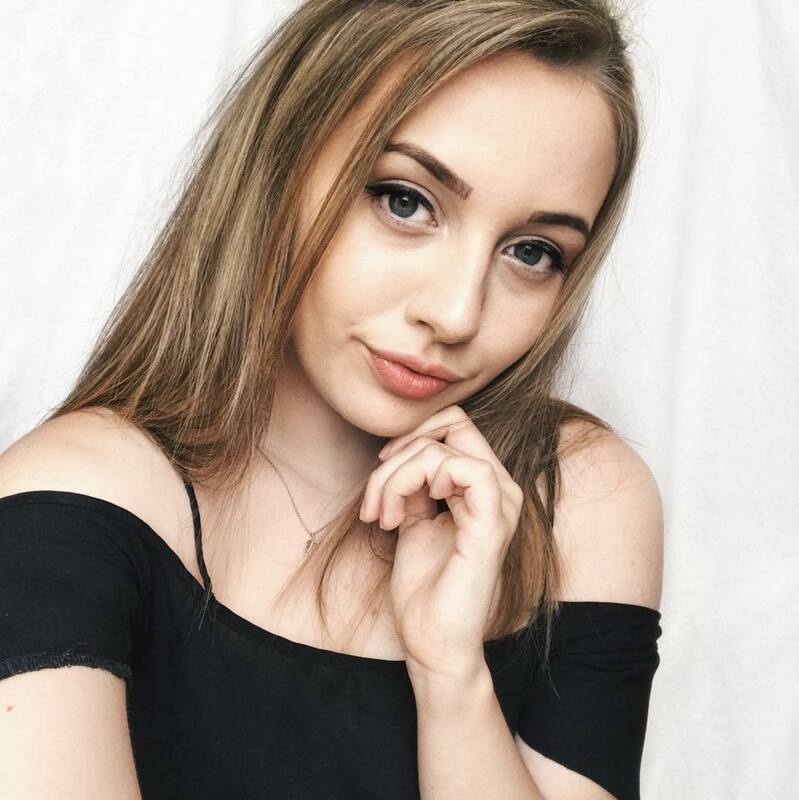 I was excited to be able to experiment to find my dream routine - and Super Facialist haven't let me down! 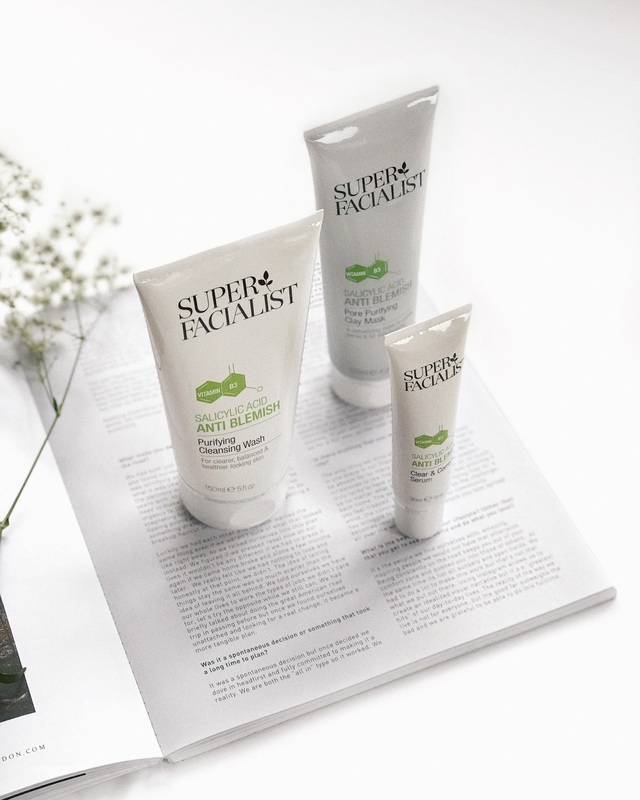 Skincare can be pretty baffling as there is so much to get your head round, but if you are unsure then you can head over to the Super Facialist website and use the new #BeYourOwnSuperFacialist skincare diagnostic tool to figure out which products are made for you! 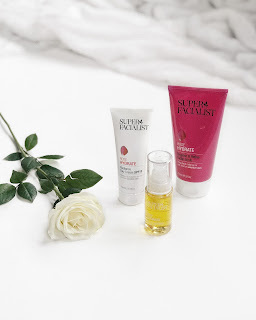 As I have combination skin that is prone to blemishes, I have been testing out the Rose Hydrate and Salicylic Acid collections to tackle my spots but also balance my skin for a better complexion. I have noticed, with my skin in particular, that if I use too many products then it will come back to bite me, so I made sure to only use a couple at a time to see if it led to breakouts. I must admit that I was worried that my skin wouldn’t be able to handle it but actually, it’s been the complete opposite. It helps that every Super Facialist formula is free from parabens, mineral oils, petrolatum and synthetic colours – they are also NOT tested on animals! 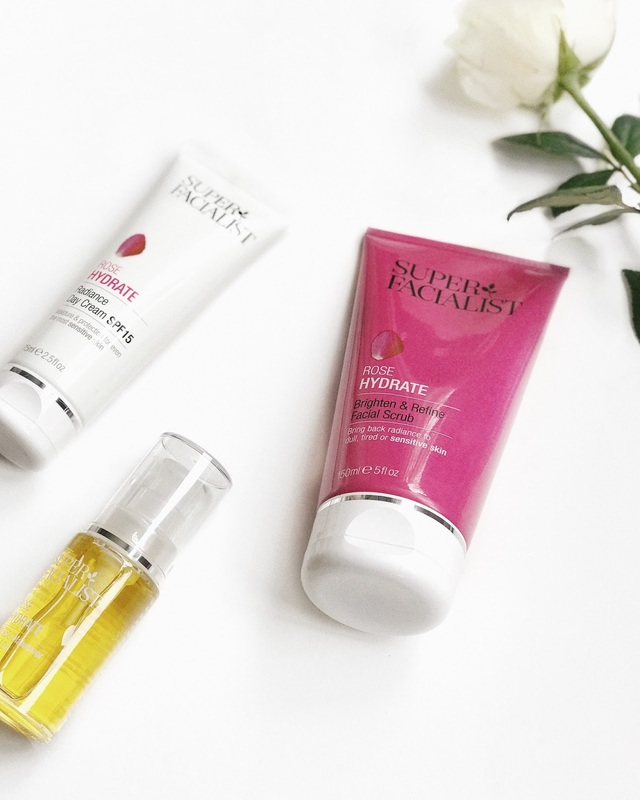 I started by introducing the Rose Hydrate Radiance Day Cream into my routine instead of using my normal moisturiser. With my previous cream, I found myself having to reapply as my skin would still feel tight afterwards but with this hydrating Radiance Cream, you only have to use a pea-sized amount to be left feeling completely hydrated (and not oily). As well as hydrating, this cream can also be used as a primer before you apply your makeup. I love a 2-in-1 product, as I then don’t have to apply layers on layers so this is perfect for me. Less is more! My first impressions on the smell was that its quite overpowering but not in a bad way. You get hit with a smell of rose, which lingers for a couple of minutes whilst it sinks into your skin; it makes for a luxurious feel! 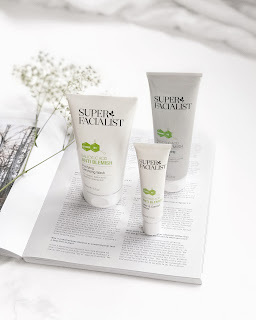 Overall, your skin is left feeling soft, refreshed and toned – I would recommend to anyone who’s looking for a quick-absorbing and super effective moisturiser. Another product that leaves your skin feeling like you’ve had a facial is the Rose Miracle Makeover Oil which can be used as a pre-cleanse treatment. Pre-cleansers and oils are there to remove impurities so your main cleanser can deep clean the rest of your face. This helps you get healthier skin and fewer breakouts, which is exactly what I needed! I decided to pop this product on before a facemask as this allowed my pores to open and the mask to draw out everyday grime. When applying the oil, warm it in your palm and pat gently onto your face until you have a light cover. Let it sink in for a couple of minutes, rinse off and cleanse. When looking for skincare products, I love noticing a difference straight away and with this treatment, I could really feel it working and drawing out dirt. It doesn’t sting or leave your skin looking blotchy afterwards but I would say to make sure you wash your face properly afterwards as I could feel a bit of residue. Having said that, I love how the product makes my skin feel and I would recommend it to anyone who maybe hasn’t tried out a pre-cleanser before; it’s incredibly easy to apply and you will instantly notice a difference! This miracle bottle has honestly changed how I think about oil products; I’ve always had oily skin, so I tended to purchase oil-free products thinking that I could combat the grease by doing so, but I couldn’t have been more wrong. I was actually dehydrating and stripping my skin of natural oils which made my ducts work overtime to try and replace it; this led to even more grease and spots – good one, Liv! So the moral of the story here is don’t be afraid of using oils to cleanse your skin, you will honestly see such a difference over time. Trust me! Speaking of clearing pores, exfoliation is a key part of a skin routine; no one likes a blackhead! I have used many exfoliating scrubs in my time but never really noticed a difference in my skin so I was excited to try out the Brighten and Refine Facial Scrub. Unlike other scrubs that feel harsh on the skin, I find this provides a deep but gentle exfoliation without causing irritation - I am left with a nourished, hydrated and soft face. What I would say is that I wouldn’t recommend using this on a daily basis as I feel it could be too much for sensitive or problematic skin types. But, I have been using it two or three times a week and I have noticed a difference; my dry patches have cleared up and my pores have begun to look clearer. If you’re on the hunt for a deep-cleansing but subtle scrub then I would recommend testing this one out. I personally love it but it may not be everyone’s cup of tea! As I have previously tried (and loved) the Purifying Cleansing Wash from the Salicylic Acid Anti-Blemish range, I was so excited to use it again. A good trusty face wash is the perfect companion for jumping in the shower after a long sleep and freshening up, ready for the day. It also helps me prep my skin for makeup application, as a clean face makes for the perfect base! As well as the morning, if you’re feeling like a pamper evening, the wash is perfect to use alongside the Pore Purifying Clay Mask as it opens your pores and allows for a deeper cleanse. The mask is simple to apply as you just pop on a thin layer and then washes off ten minutes later. It’s great for sensitive skin, as it doesn’t contain any harsh chemicals or perfume. With both these products, I have noticed that my pores look less visible and my skin feels and looks more mattified. Although I would recommend these products individually, this is a winning combination that works well. 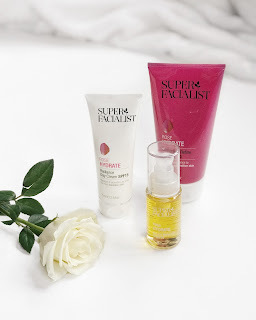 The Clear and Correct Serum is new to the Super Facialist family but I feel like it was made for me - it’s everything I look for in a skincare product. The combination rebalanced, hydrated and cleared my complexion without resulting in dry patches, which is exactly what I needed. I have tested out blemish treatments before but none of them do what they say on the bottle; my spots don’t reduce in size and I can’t see any change in my red blotches, so I was skeptical when trying this one out as I thought it would be similar to the other treatments. Before this serum, I would wake up in the morning with a bunch of new spots but after popping this cream on before bed, I notice fewer blemishes and reduced redness by the morning – this proves that the product is working overnight! The consistency and smell of the product is also really pleasing – it’s not sticky and leaves your skin feeling soft and smooth. The smell is one of a kind as I haven’t known any skincare brands to use cinnamon or ginger before so I was pleasantly surprised when I used it for the first time – sweet treat heaven! If you have used a spot treatment before and have seen no changes, definitely test this one out as you can apply it all over and not just in one place so it is more effective and works wonders! So, there we go! A MASSIVE thank you to the lovely ladies over at Super Facialist! I am super impressed with the two ranges that I was lucky enough to test out. I will definitely be carrying on with my regime as it truly works for both me and my skin. As well as being amazing, these products are all really affordable and accessible as you can pick them up in-store from your local Boots and Sainsbury’s – win win! If you are struggling with your skin, always remember that there are many products out there that will work for you; you’ve just got to find them. 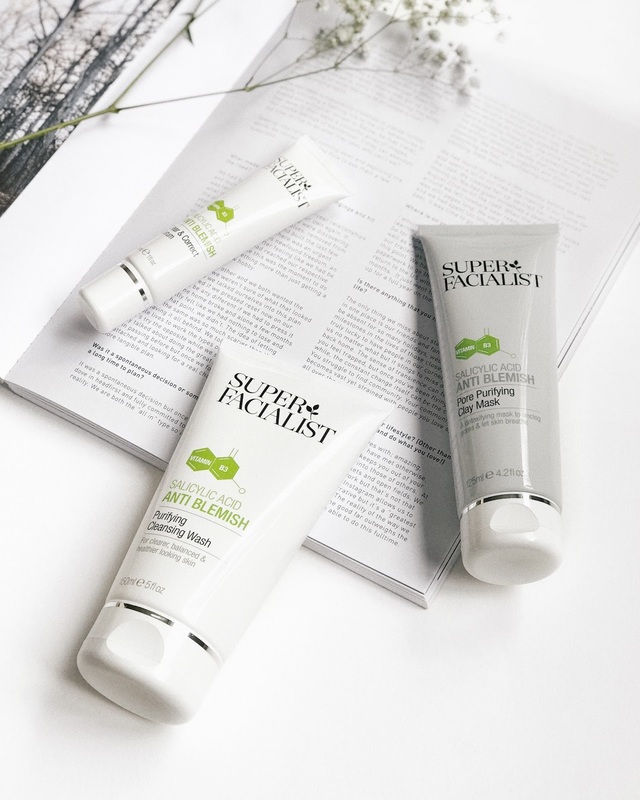 I would recommend using the Super Facialist Skin Diagnostics tool as a way to begin your skin journey; it’s a good place to start! Let me know if you have tested the tool out and which products have been recommended for you and your skin type, I’d love to know how you get on. But, we have now come to an end. Thank you for reading and I hope you found this post informative in some way!